Vegan, gluten-free chocolate almond truffles made with just 3 main ingredients and no added sugar! 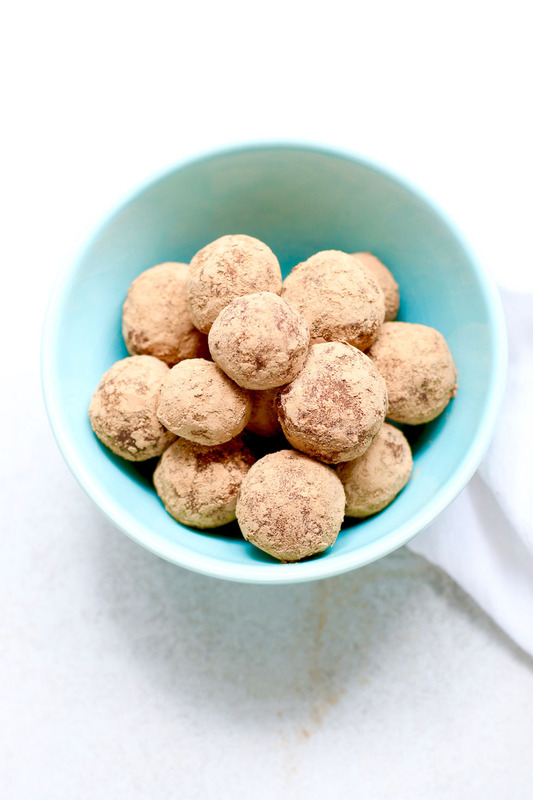 These chocolate truffles make a healthy dessert or energizing snack. Add the dates, almonds, vanilla, 2 tablespoons cocoa and salt to a food processor. Pulse until all ingredients are chopped. Run the food processor on high until all ingredients are incorporated and a sticky ball forms. Add up to 2 tablespoons water, if the mixture doesn’t come together after a minute. Using heaping tablespoons, roll about 16 balls. Place on a sheet pan lined with parchment. Freeze to set - about 30 minutes. Add the remaining cacao powder to a small bowl. To make the truffles, toss each one in the bowl until fully dusted with cacao. Let truffles stand at room temperature to thaw before eating (about 15 minutes). Store extras in the freezer for a quick treat. You can try pecans, peanuts or walnuts in this recipe too.